I met Richard Kirkman in early 2017, at Richard Kirkman Stables formerly known as Family Horse Ranch and Rescue. I have been in the equestrian scene since I was six years old and have competed at the National level years ago. RK Stables was recommended to me by a close friend to have fun riding horses and get lessons for my children. Not only did I have the opportunity to do such, but I also adopted a rescue horse and boarded her at RK Stables. My experience with Rick involves him giving my children their first horseback riding lessons and boarding my horse at his facility. Rick started RK Stables to provide forever safe homes for abused, abandoned, and/or neglected horses. Rick works extremely well with children of all ages, including children of my own. My children were extremely nervous their first ride and Rick helped them overcome their fears. 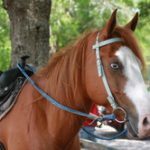 Rick teaches proper horsemanship and how to properly care for horses and other animals as well. Rick’s sense of humor helps open up shy children and he works with much compassion for everything he does. My experience as a horse boarder at RK Stables was nothing but pleasant and seamless. The system at RK Stables is fluid and Rick and his workers are dedicated to treating every horse as their own. During Hurricane Irma, I felt confident that my horse was in the best hands possible for such a potentially catastrophic event. The horse that I adopted was extremely green and I had to train her on simple things such as picking up her feet and to stand in a wash stall. Rick always without any hesitation would lend a helping hand when he saw I could use one. I cannot say express the gratitude I have for Rick and RK Stables. Rick is easy to work with and amazing with horses. 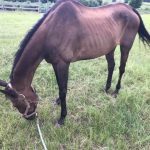 Rescuing horses is not an easy task and RK Stables is proof of Rick’s success. 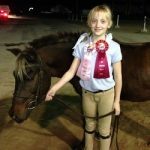 The riders at RK Stables are constantly winning blue ribbons at local shows, which is also validation that these children are getting proper training through the RK Stables’ lesson program. 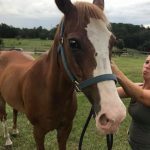 In summary, I would strongly recommend without reservation Rick Kirkman and RK Stables for any equine need you may have whether it be casual riding, English or Western lessons, horse boarding, or even if you would like to obtain volunteer hours in a fun setting. Rick is professional, organized, and a fantastic leader. Rick and RK Stables has my highest recommendation in the area. Please feel free to contact me at (727) 267-0354, if you need any additional information or clarification.